Strategy Showcase: 3 Reads – Mister, is this right? As I did with I, We, You, today I am going to analyze one of my favorite strategies – 3 Reads – by answering ten questions. Find a word problem, and omit the question. An acidophilus culture containing 150 bacteria doubles in population every hour. It is quick and easy, and I will be using it every Monday as a Do Now. This strategy works with any content that has word problem applications, so … pretty much anything. Students read the problem three times, each time using a different lens. Read 1: Students familiarize themselves with the the context and ask questions to clarify any unfamiliar vocabulary, often as a result of an unfamiliar context. Sequel (optional): Answer one of the student-generated questions. In comparison to traditional word problems, this strategy is extremely engaging. In particular, there are two reasons I think this strategy hooks students. 1. Most word problems are closed-ended. In other words, they have an answer. Many students read the problem and give up because they doubt they will be able to find that answer. A few students solve it quickly – often using a strategy that avoids the targeted content altogether – and either give away the answer or become a distraction. Some students need more time to parse the language or struggle to decode it at all. 3 Reads goes a long way in changing these results. Read 1 helps students access the language as its own step. Read 1 also helps overcome any cultural bias written into the problem. Read 3 opens-up the problem and introduces all sorts of interesting extensions, challenging students to find all relevant questions, to find questions the teacher didn’t think of, to find silly questions that make the class laugh, and perhaps even to answer some of these questions. 2. 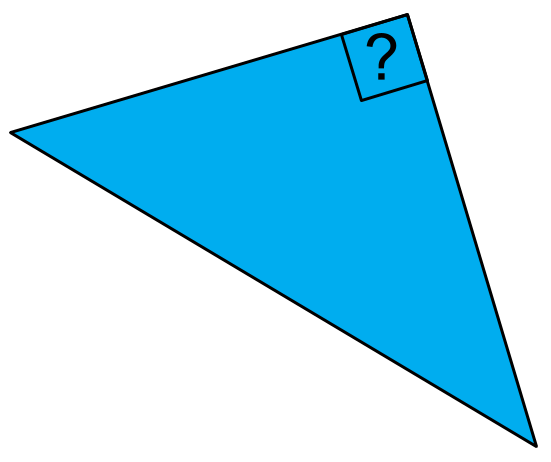 Most word problems ask students to use the appropriate procedure to compute an answer. In “3 Reads,” students meet the same procedural/computational needs during the sequel. But Read 3 also asks students to grapple with the structure of a problem and make connections between different parts of the problem and different mathematical content/skills. For instance, in the bacteria example above, students could come up with a question that (1) provides a number of hours and asks for the number of bacteria or (2) provides the number of bacteria and asks for the number of hours. By considering these two questions concurrently, students grapple with exponents, logarithms, and the inverse relationship between them. Most word problems would ask them to apply exponents or logarithms. Word problems are traditionally at the end of the chapter because students need to understand the content before they can apply it. Procedural and conceptual mastery is not a prerequisite with 3 Reads; content and application can develop concurrently, which hopefully instills a deeper understanding. MP1, MP2, MP4, MP7. Modeling shines here, but perseverance and reasoning play a role as well. Can I pull this off? What are students saying about it? In short, yes. Students love asking questions. Usually, they ask me about my personal life or about what color something is (I’m colorblind). Getting students to ask academic questions is a wonderful feeling and having a curious class is extremely powerful. That’s one of the reasons I love running a philosophy club: students come to philosophy overflowing with curiosity. But in math class, it has been much harder than expected to get students asking good mathematical questions. I tried the Ferris Wheel 3 Act, and I was blown away by how difficult for my students to ask the desired question. 3 Reads presents asking questions as a low-stakes brainstorming activity, helps them practice that skill, and helps make curiosity part of the class culture.